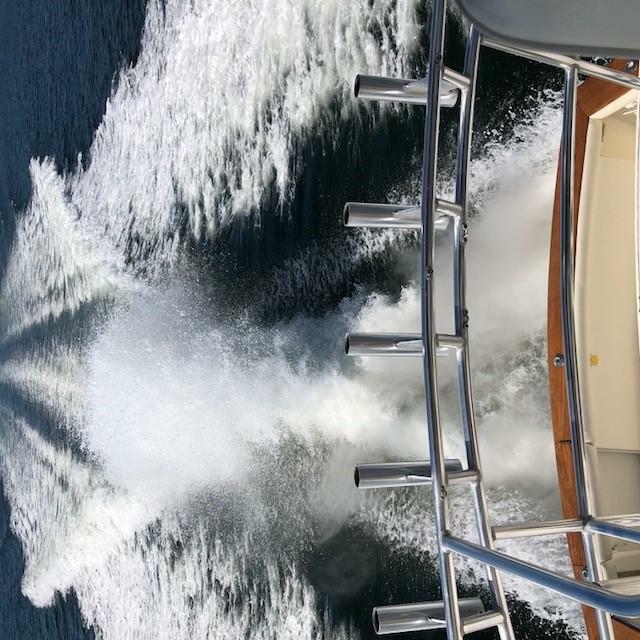 “Jake Speed” is no ordinary 63 Ocean Super Sport !!! 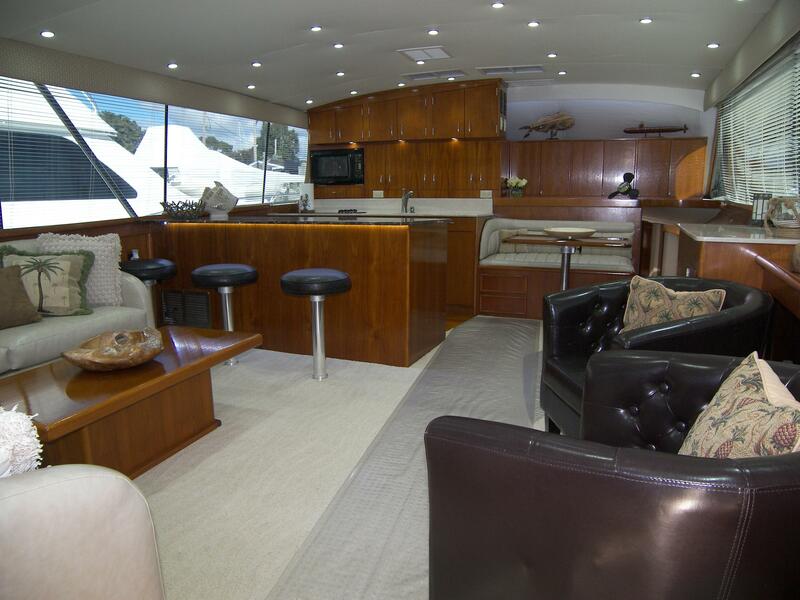 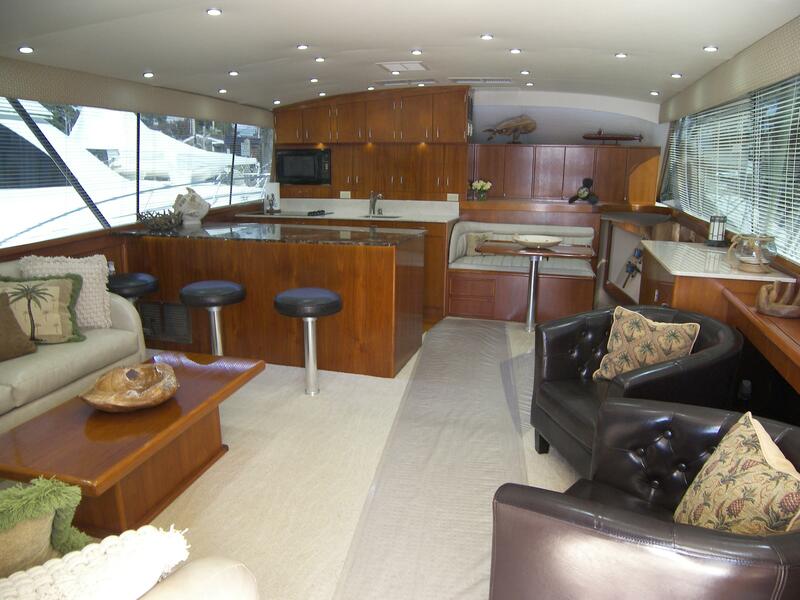 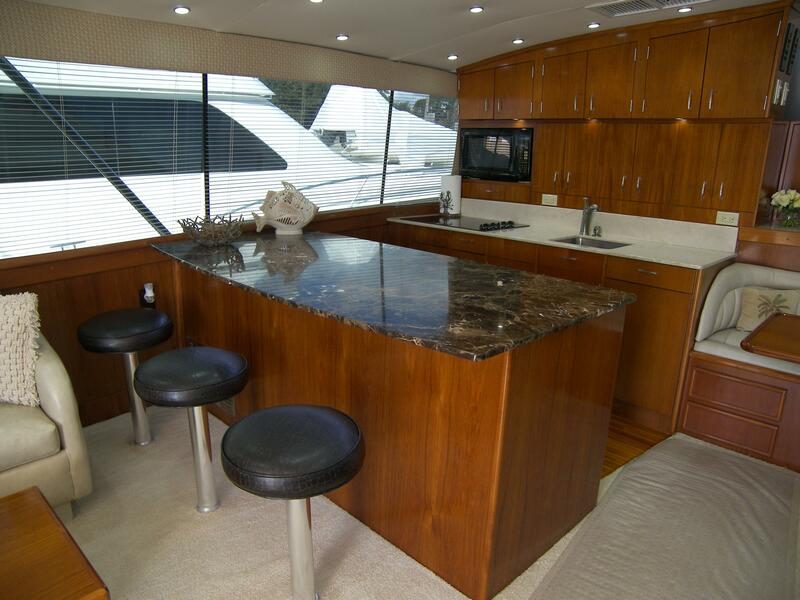 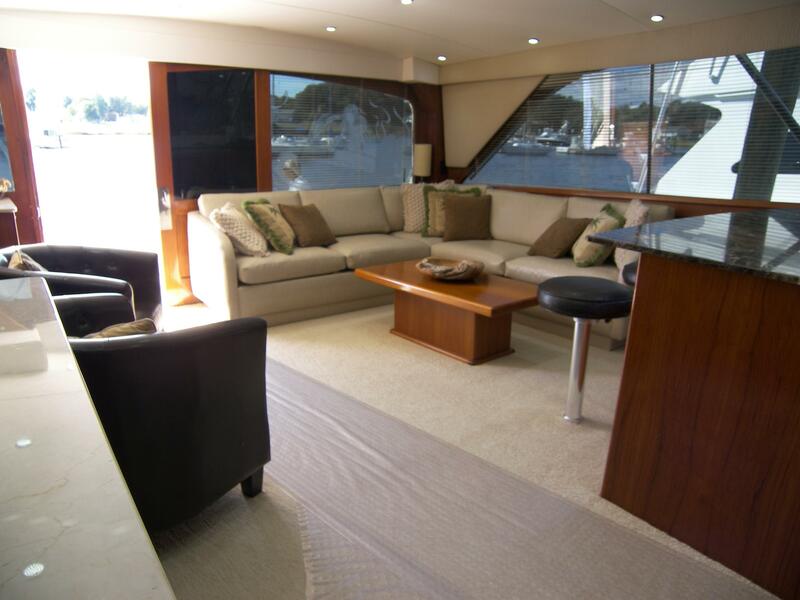 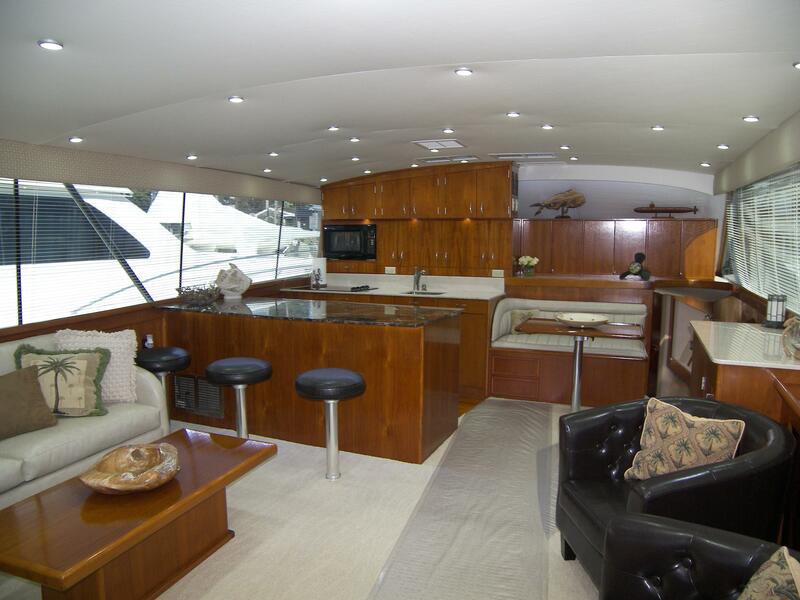 With her entire refit of tasteful redecorating and customization this yacht rivals those much newer! 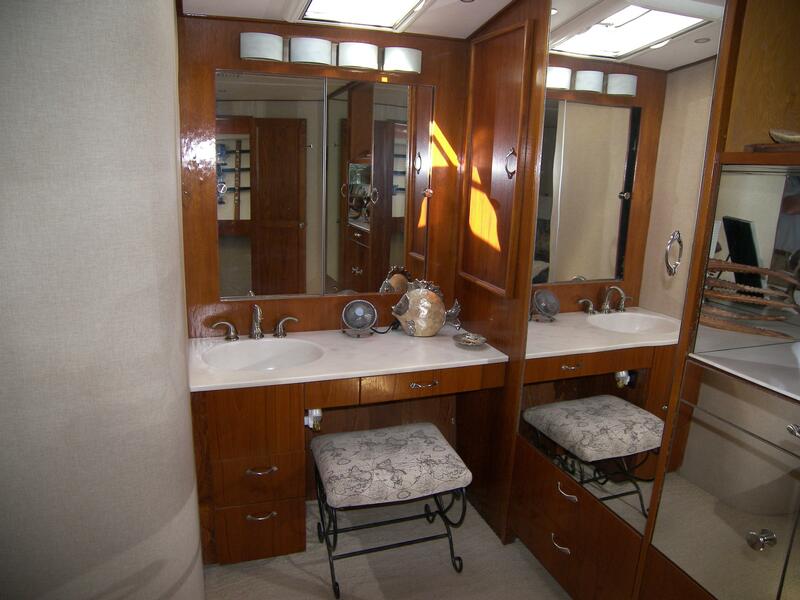 “Jake Speed” offers an enormous value and is absolutely “Turn Key”! 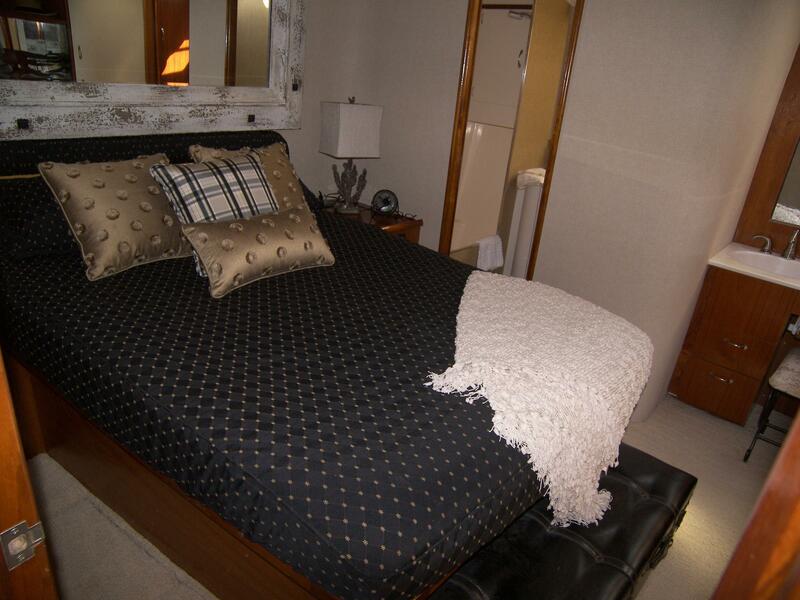 Master cabin is mid-ship featuring a walk around Queen berth and built-in nightstands, en suite Head with Tub and Shower, Cedar lined closets and drawer storage. 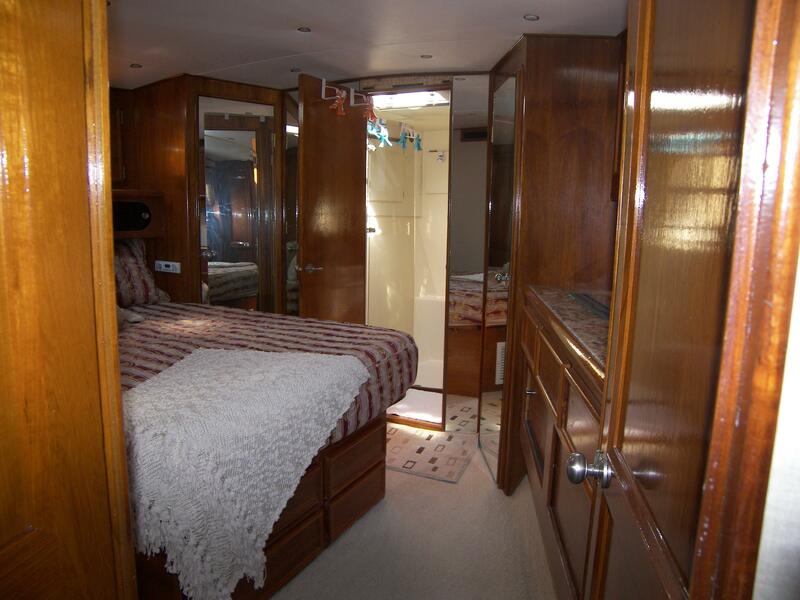 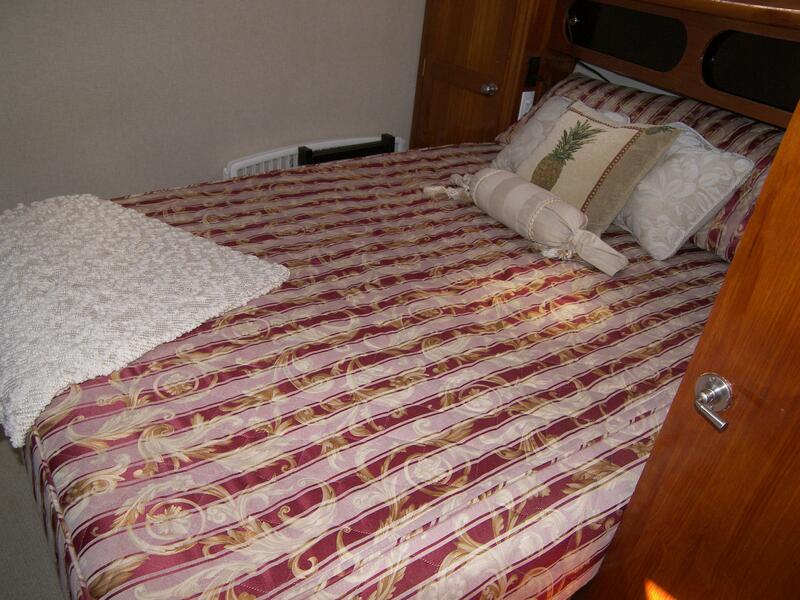 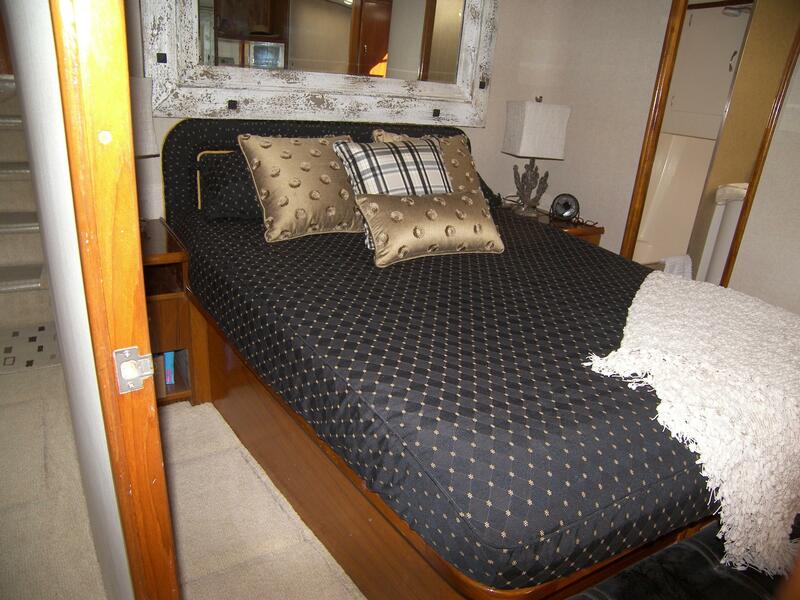 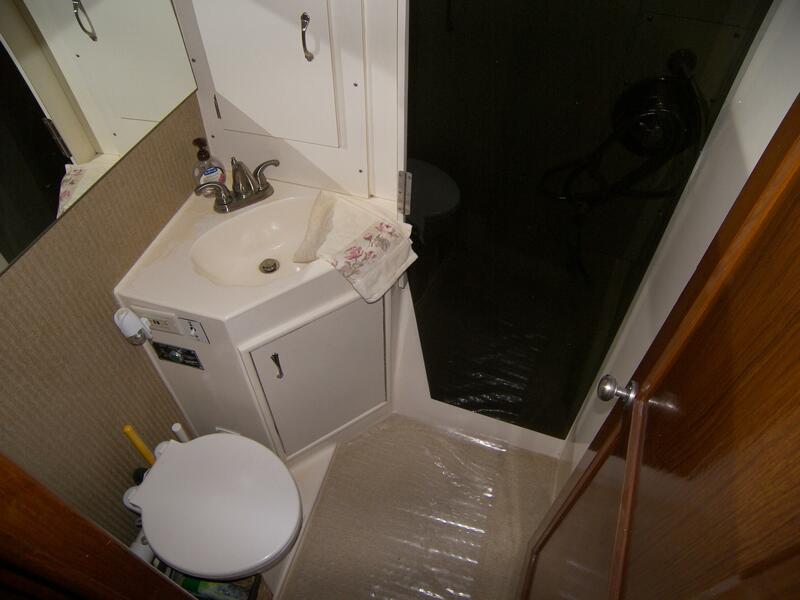 VIP cabin is forward with a walk around Queen Berth and en suite Head and Shower stall. 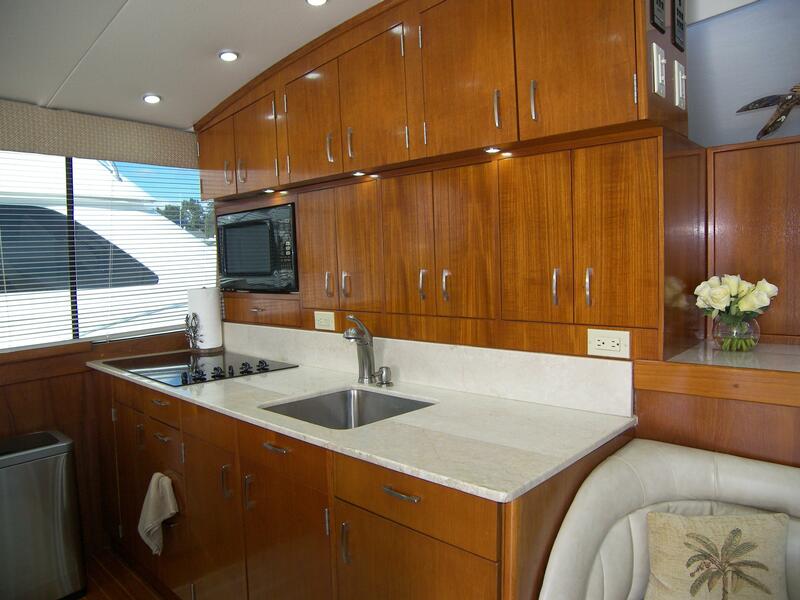 Cedar hanging lockers and ample drawer storage. 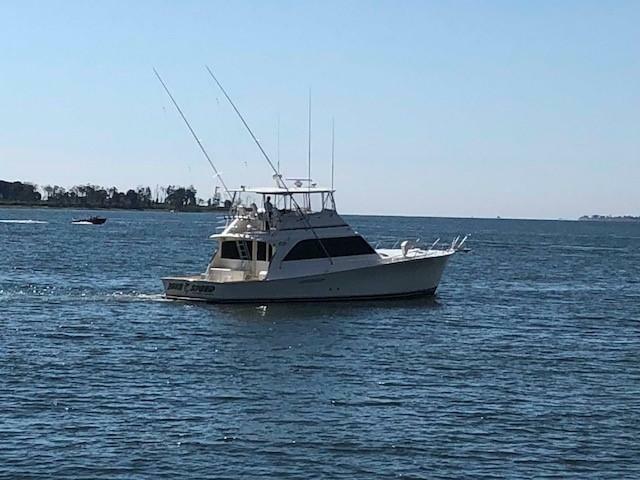 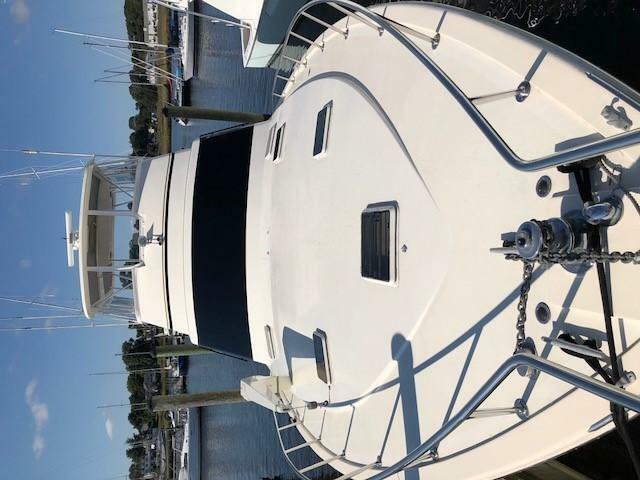 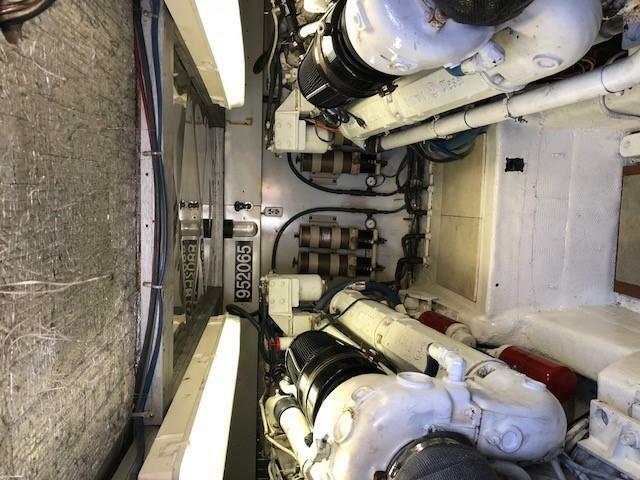 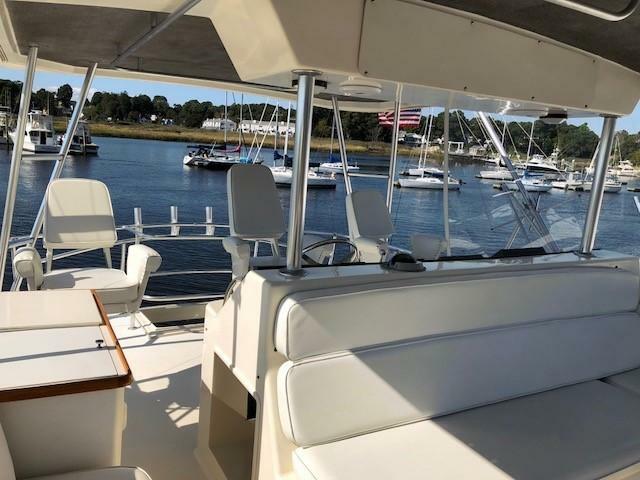 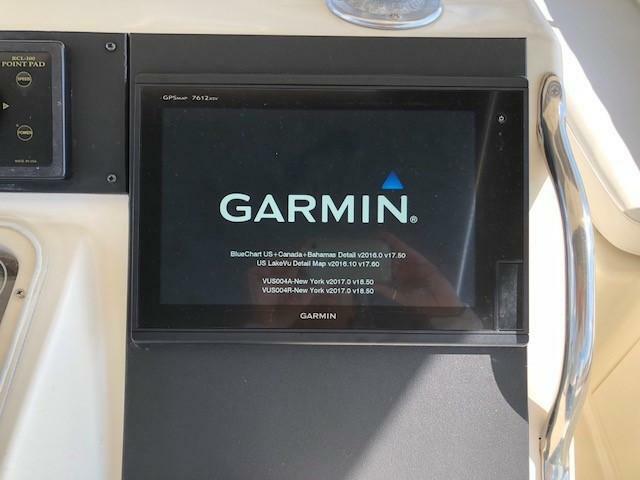 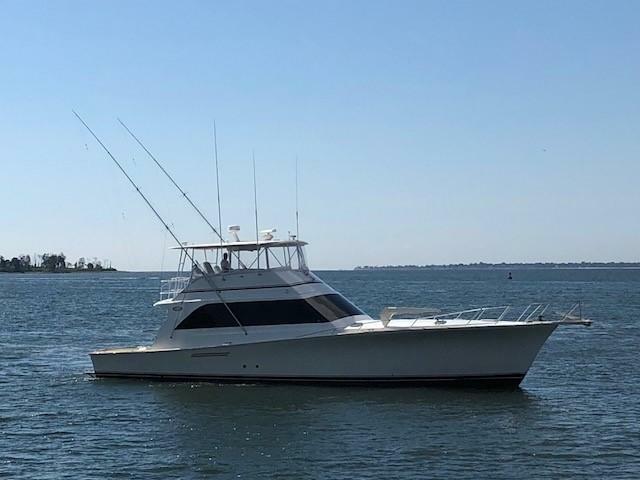 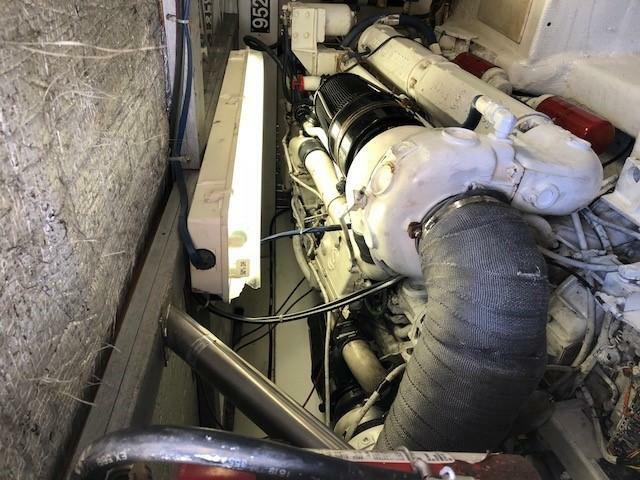 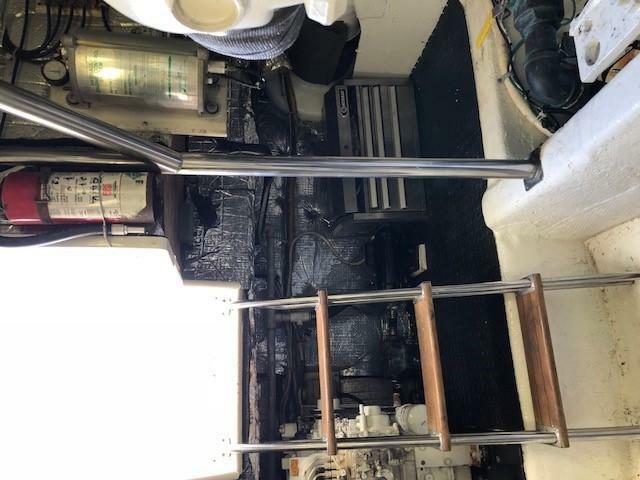 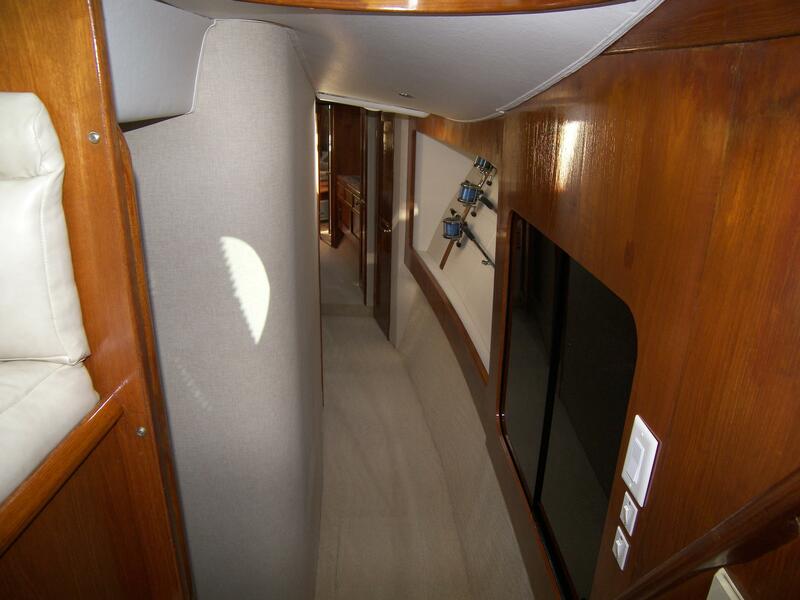 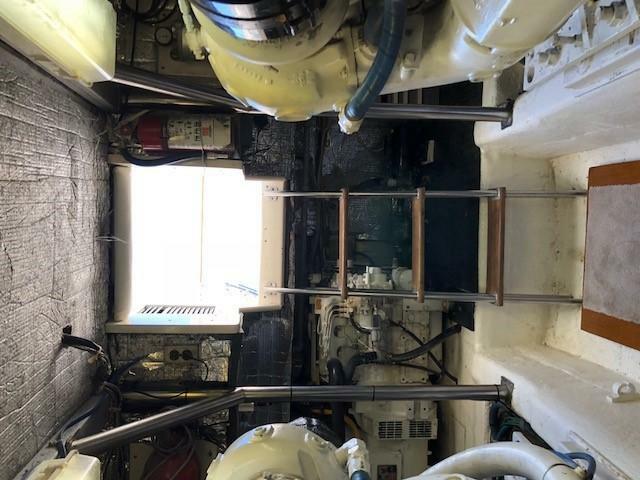 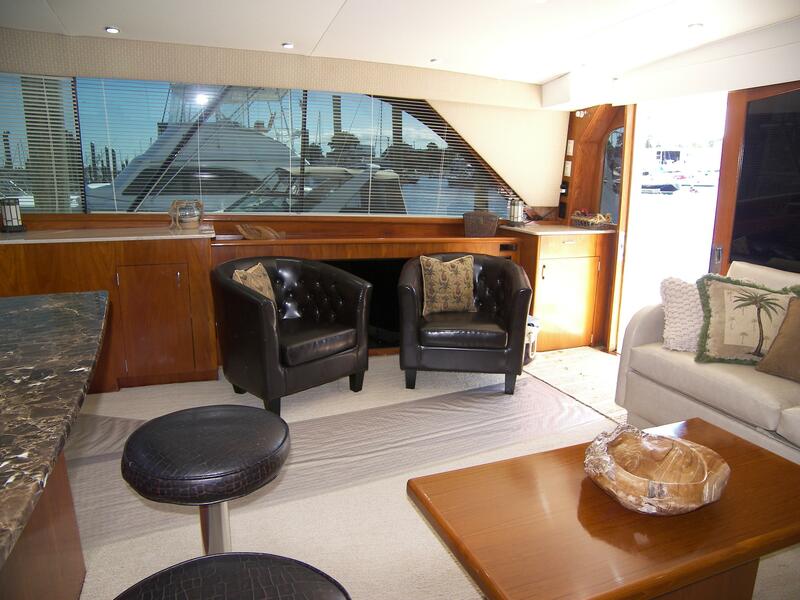 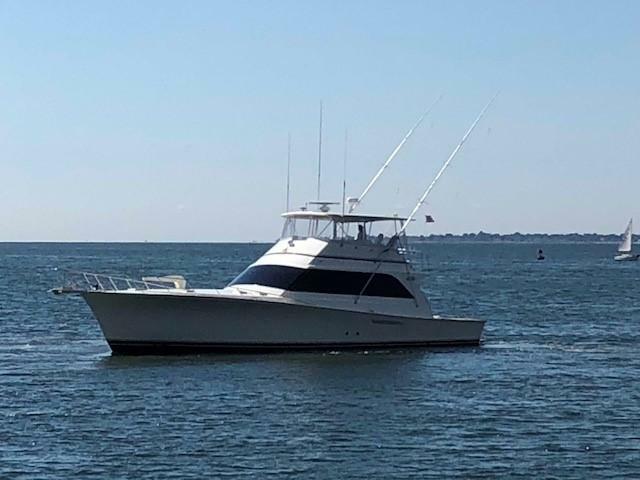 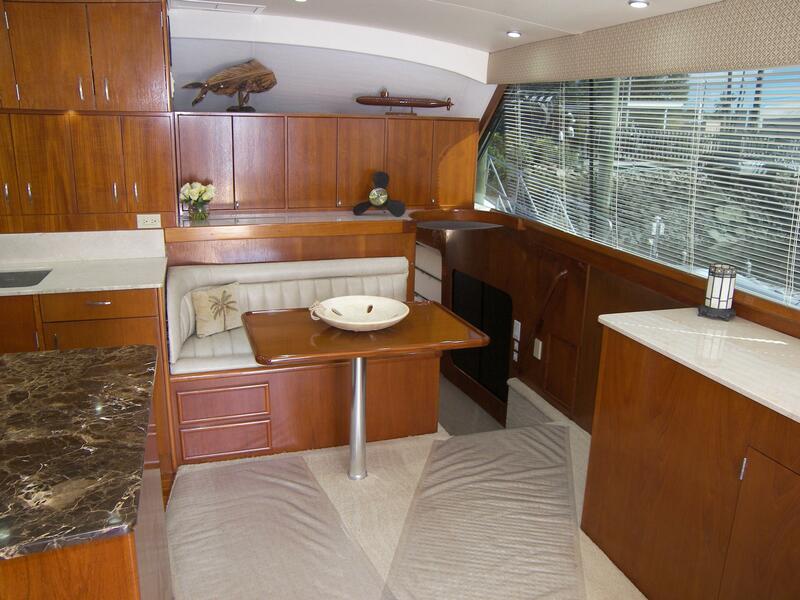 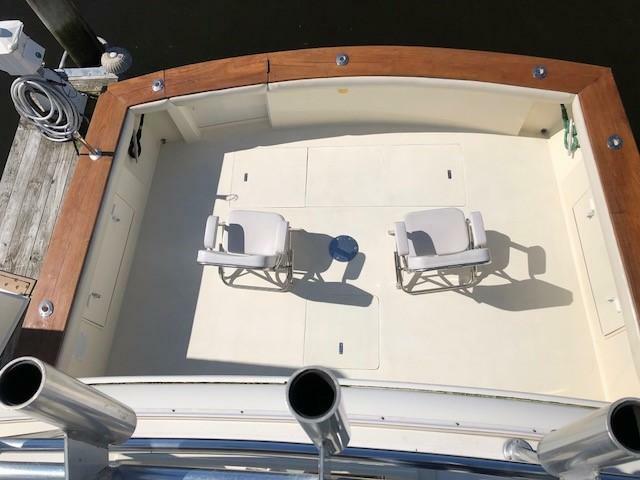 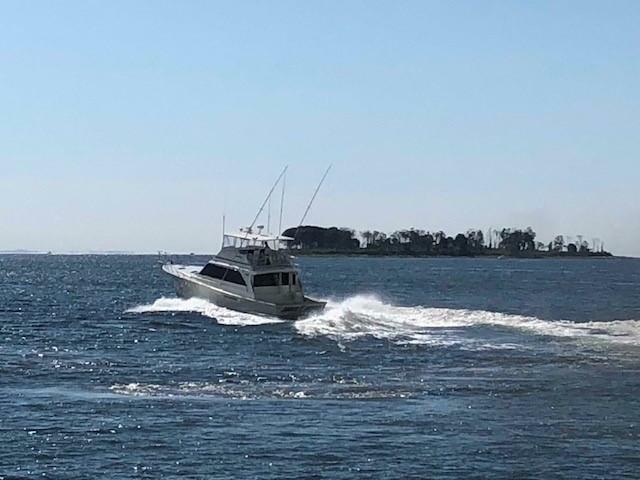 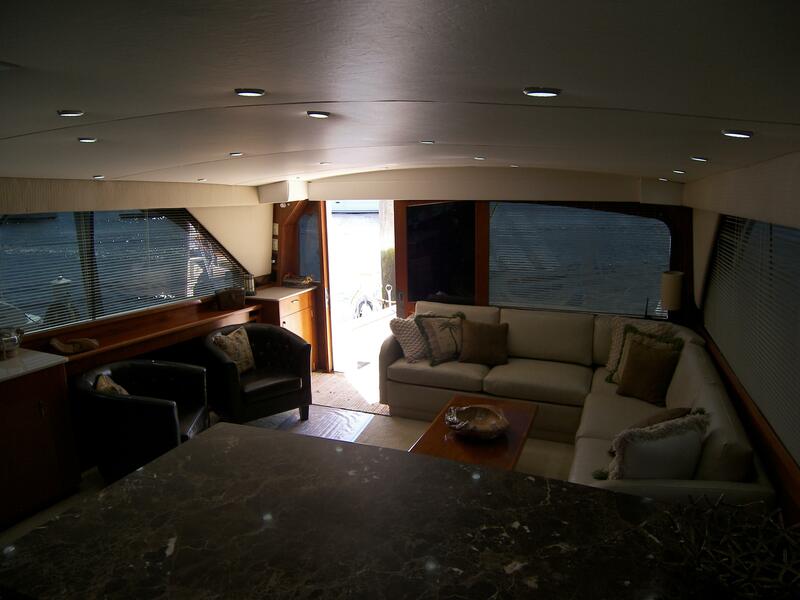 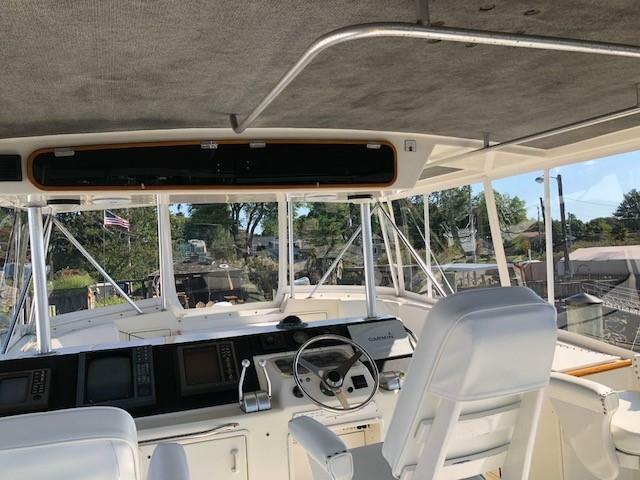 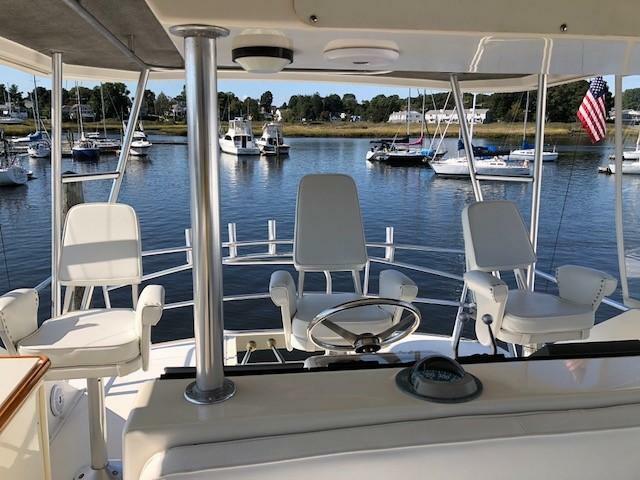 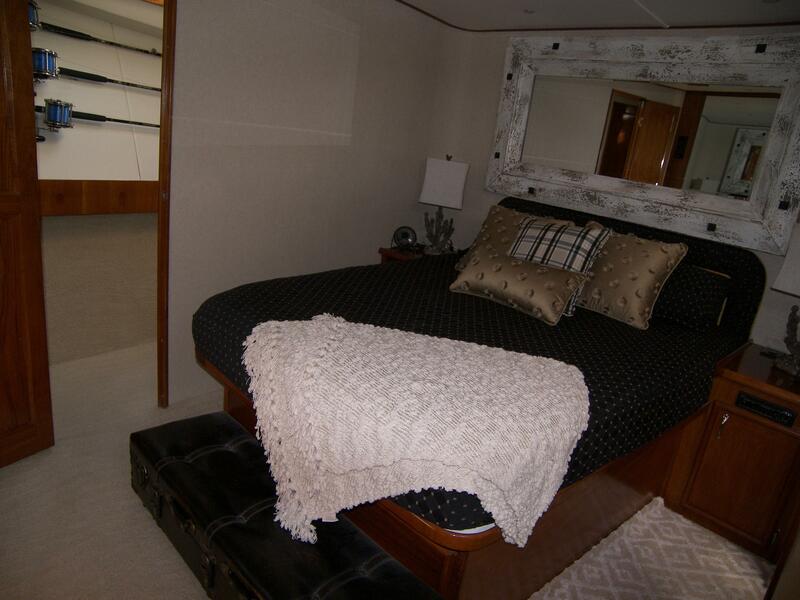 There are two Guest Cabins aft that are accessed from a companionway running full beam, both offering 2-Twin Size Berths with a walk way in between and share a Head at the port side of the companionway. 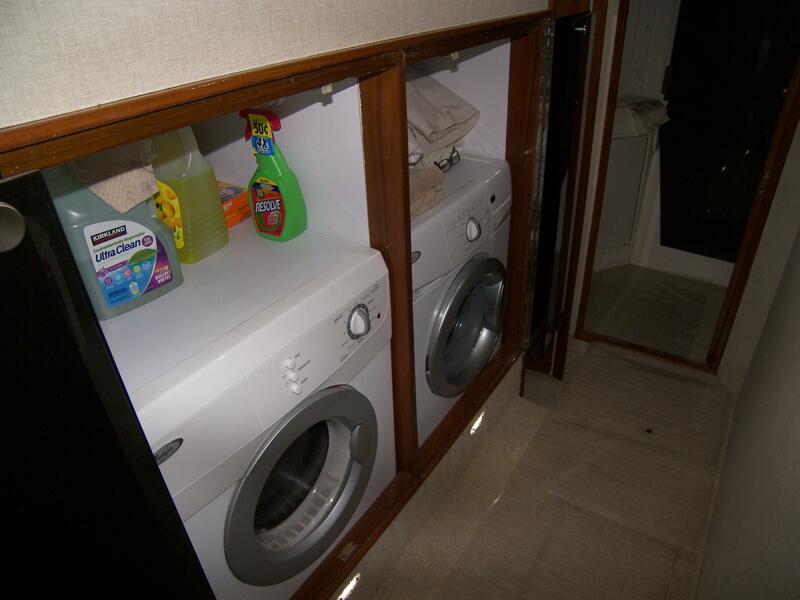 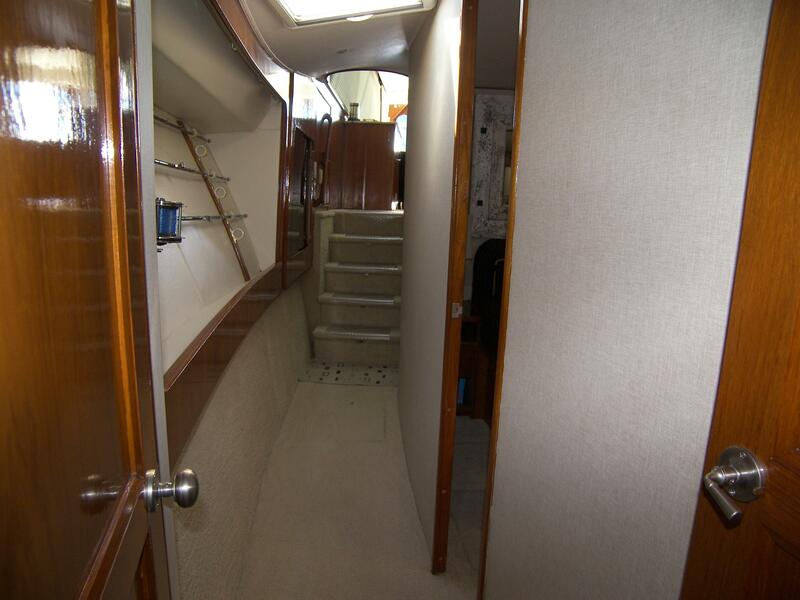 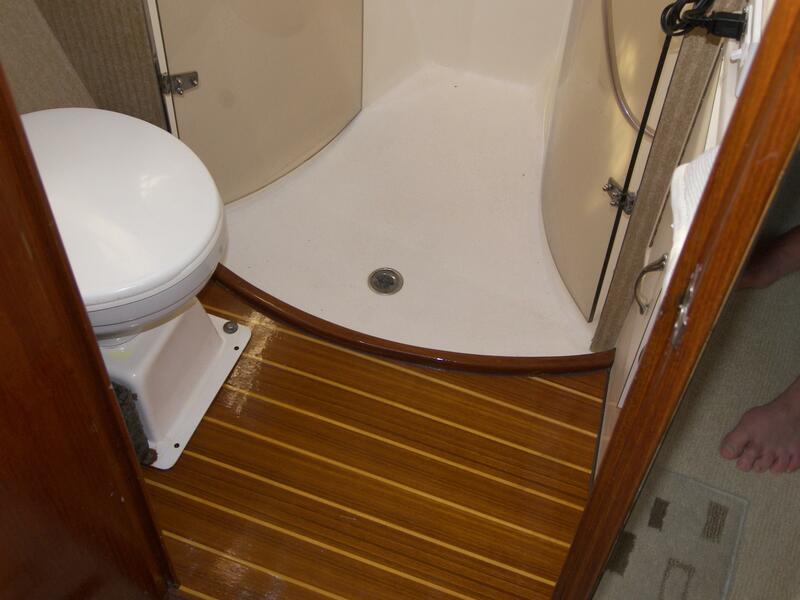 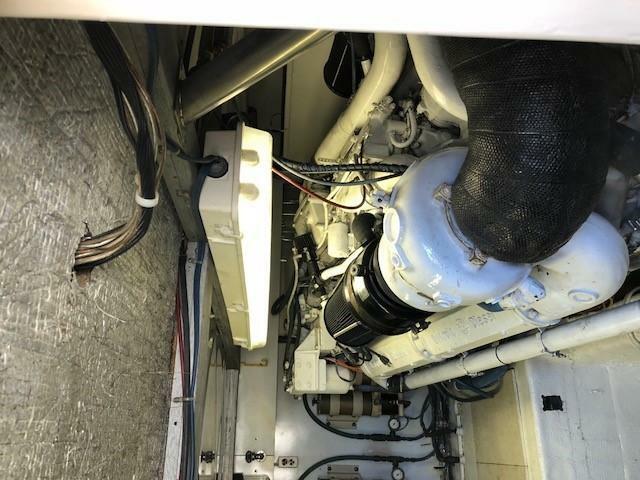 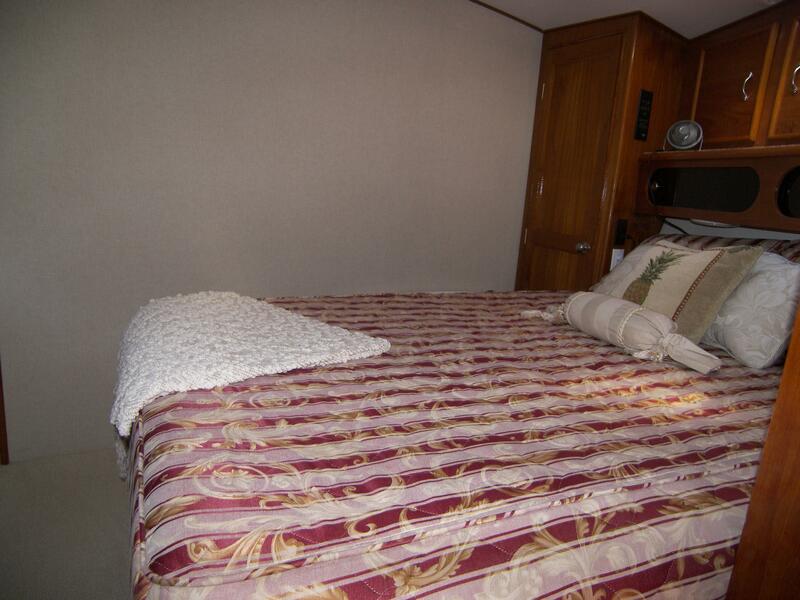 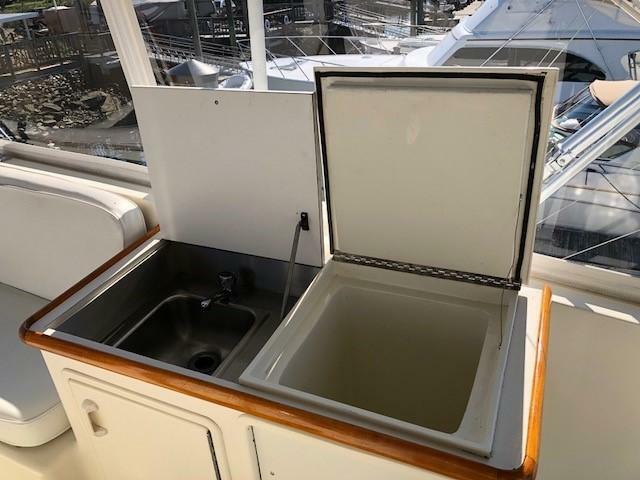 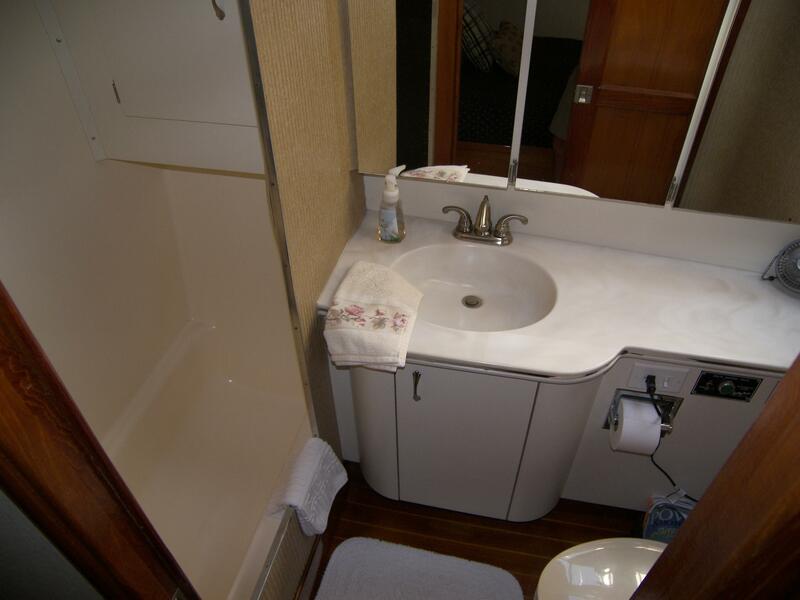 The new washer and dryer are also located in this companionway between the two staterooms. 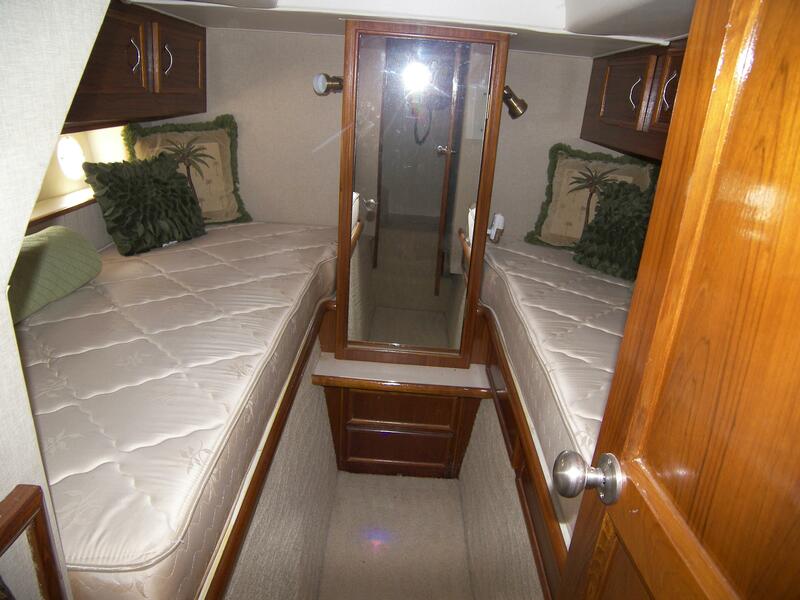 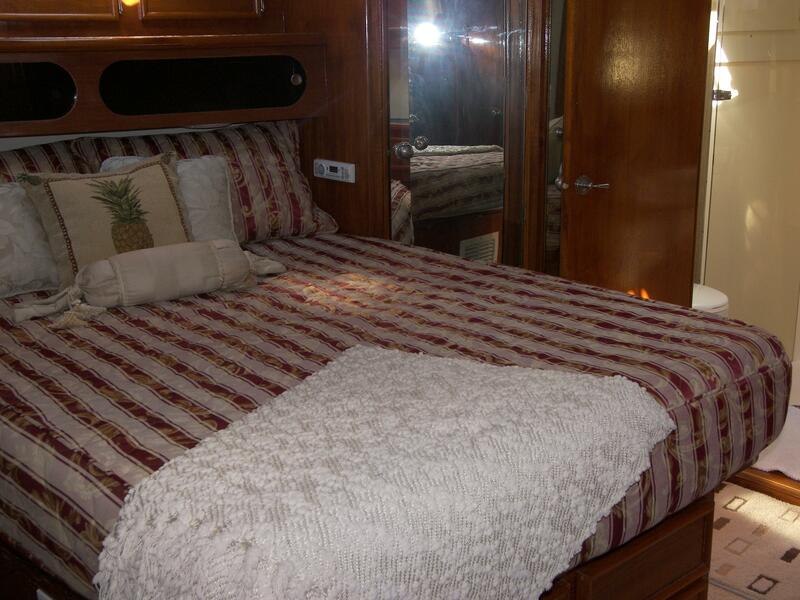 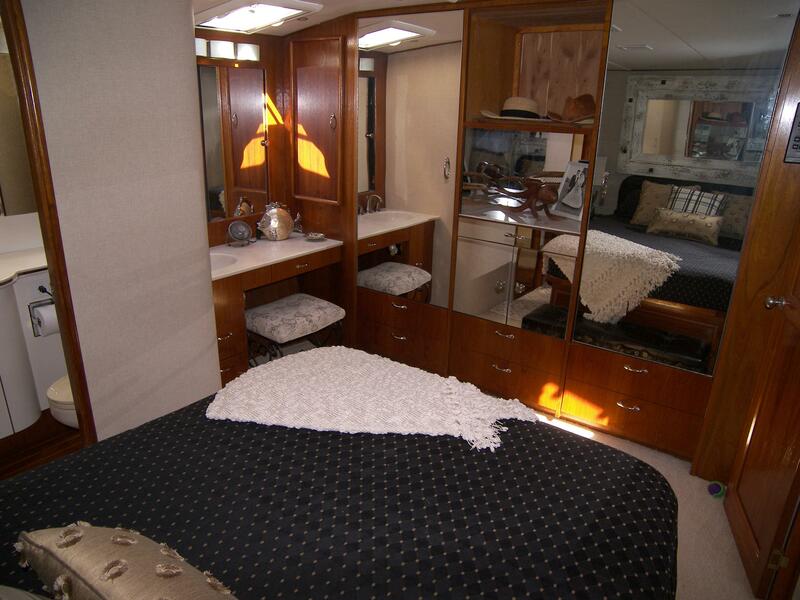 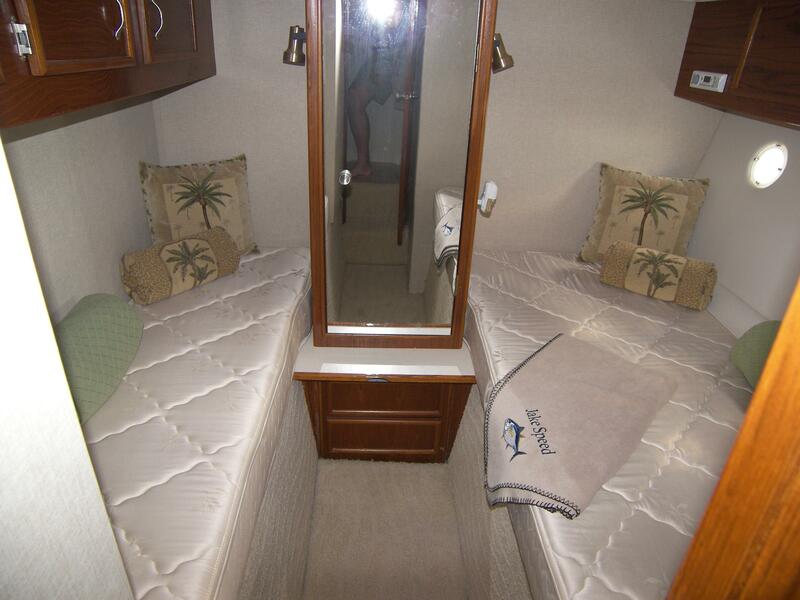 Both staterooms offer storage under the berths and a center locker. 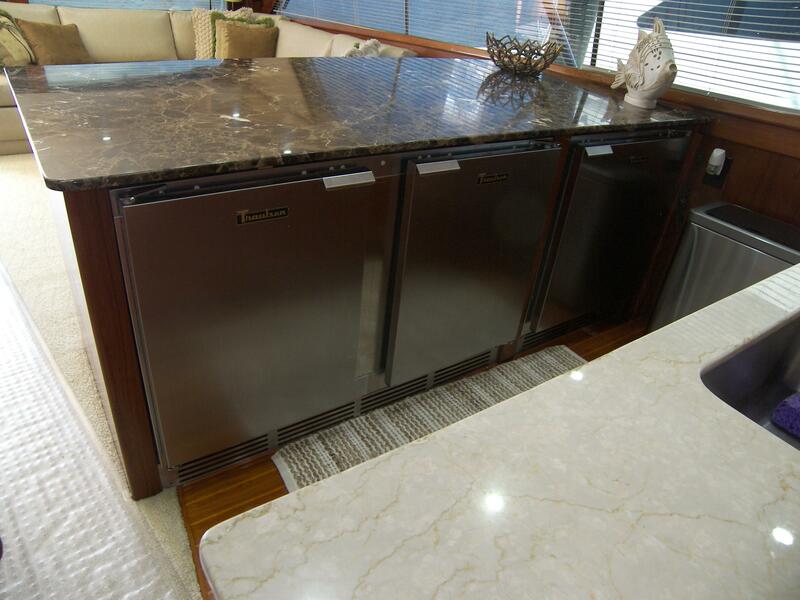 Custom Marble counter top on center island w/ leather bar stools on Salon side and commercial SS refrigerator and freezer units on Galley side. 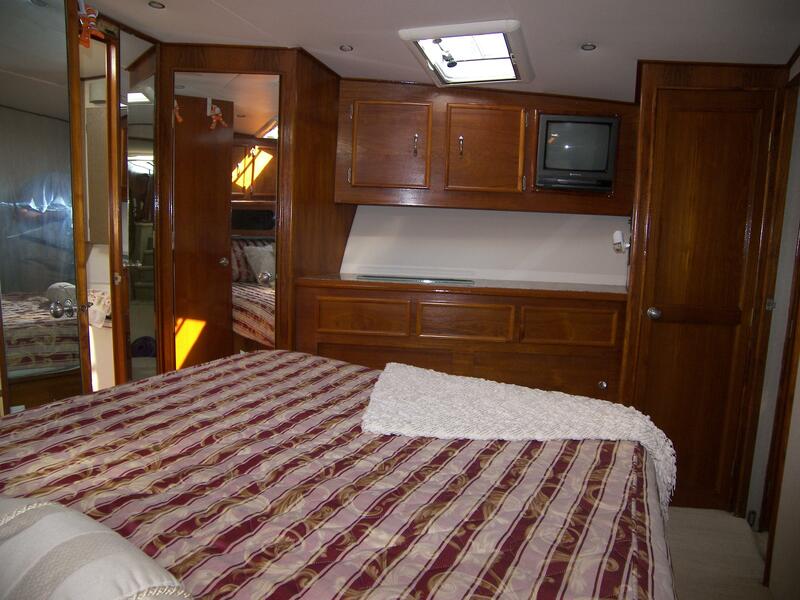 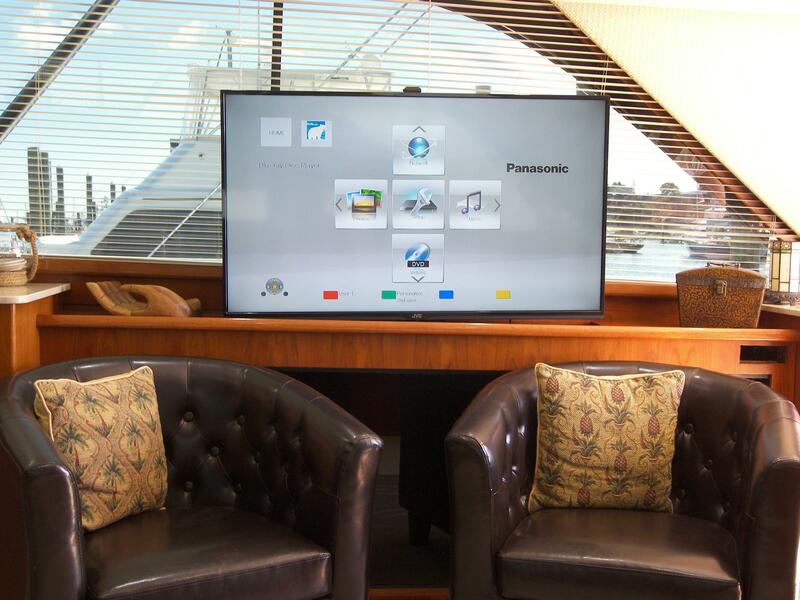 50" Flat Screen TV, Recessed in starboard side cabinetry, electric retraction when not in use. 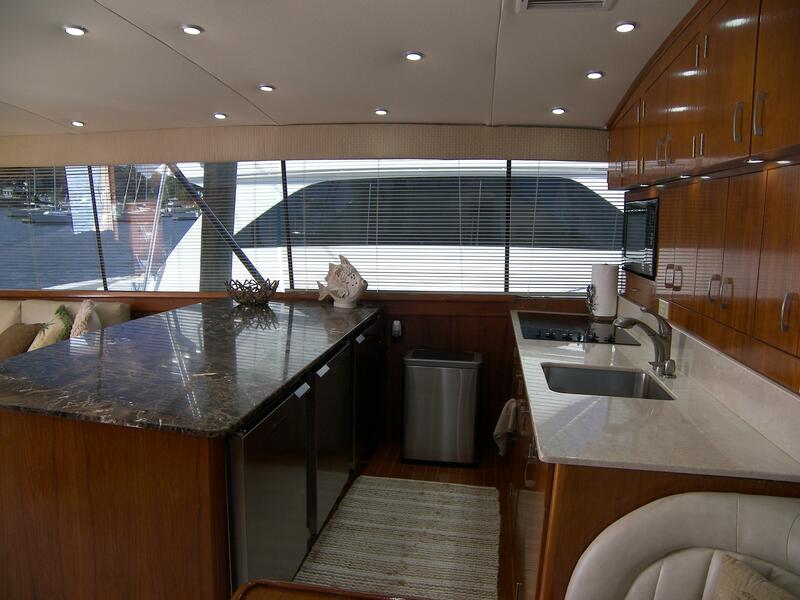 Recently replaced carpet, headliners, valances, and LED lighting throughout the entire interior. 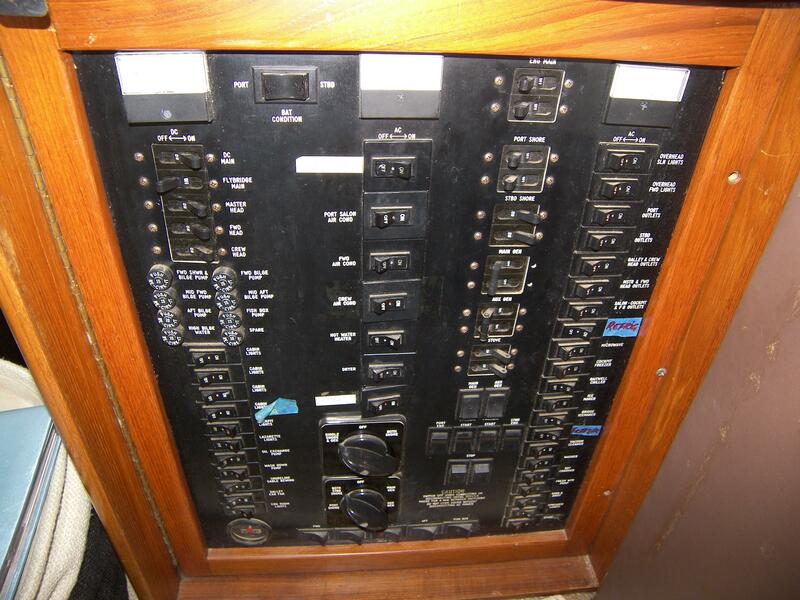 Helm console with flush mounted electronics and storage underneath, overhead electronics boxes. 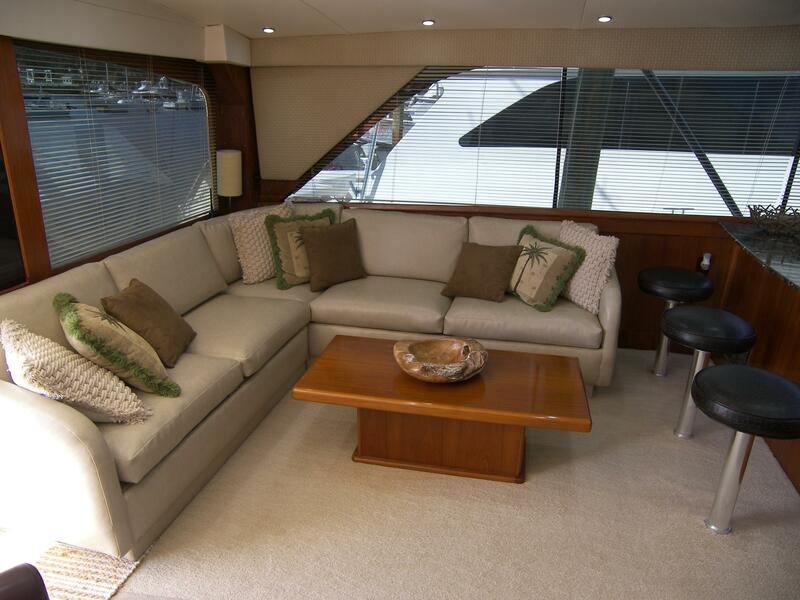 Large seating area forward with drop leaf table. 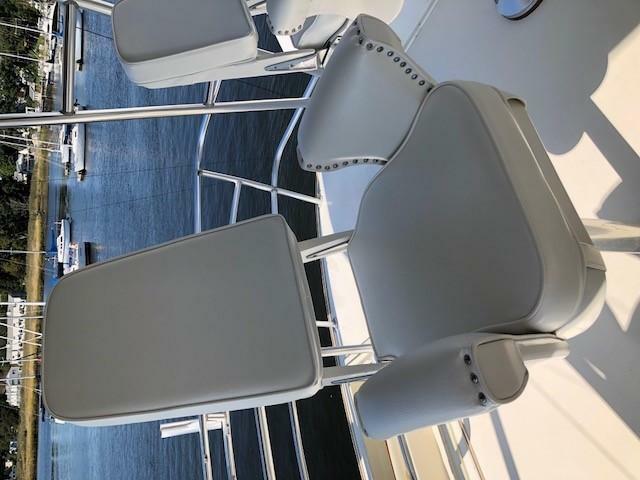 3- Murray Brothers helm chairs that have been re-upholstered. 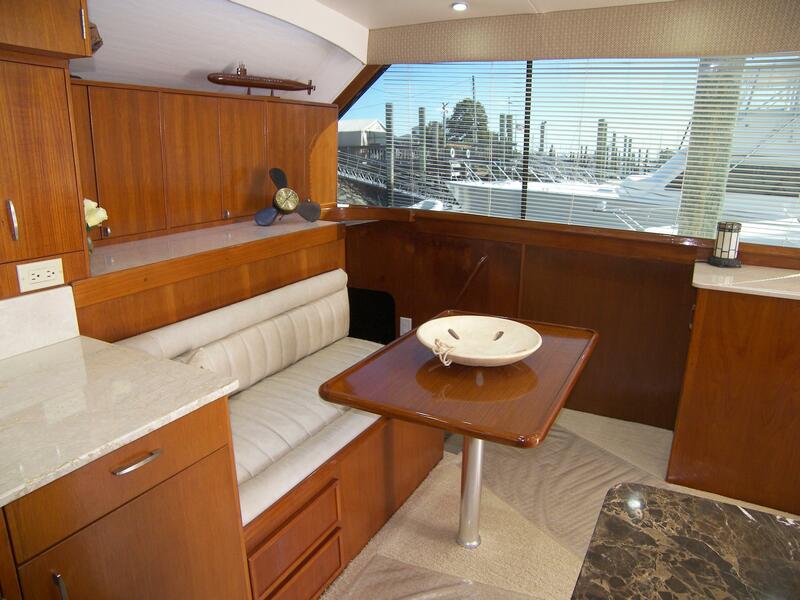 Huge Cockpit... Great for Entertaining or a Sportsman's Dream for a Canyon Run! 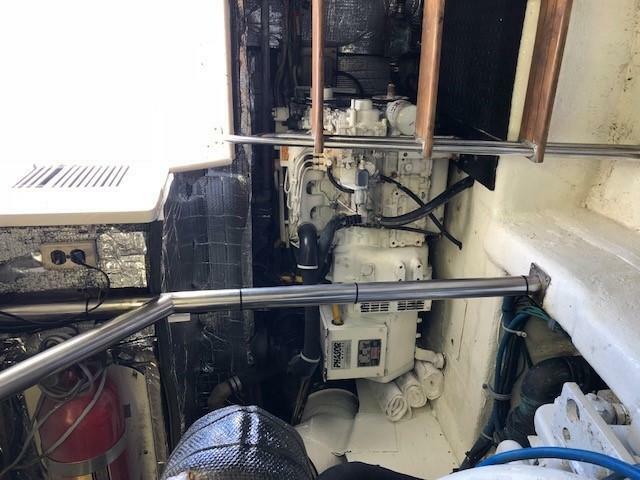 5 Marine Air Conditioning Reverse Cycle Units with Digital Controls. 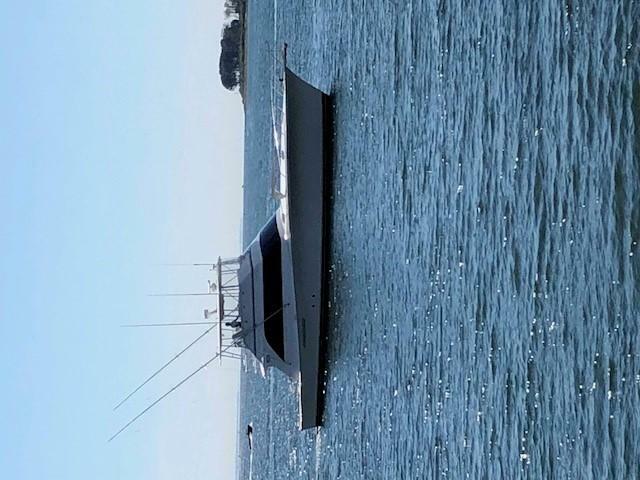 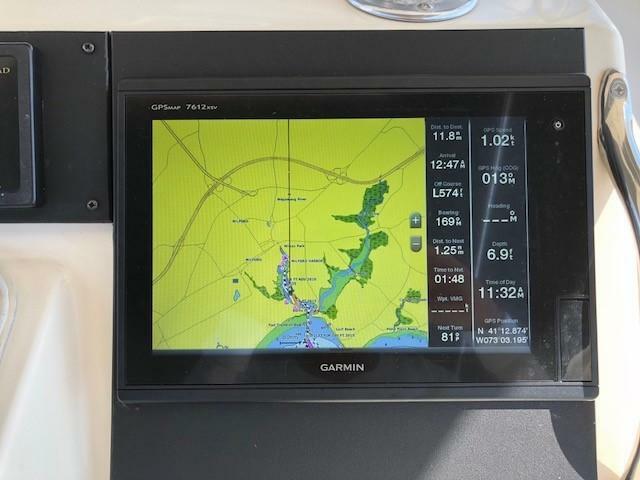 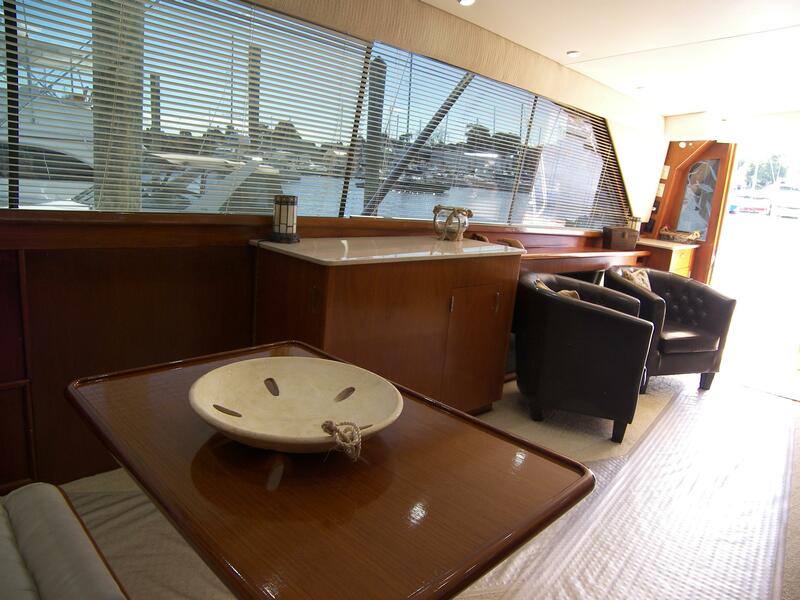 Denison Yachting is pleased to assist you in the purchase of this vessel. 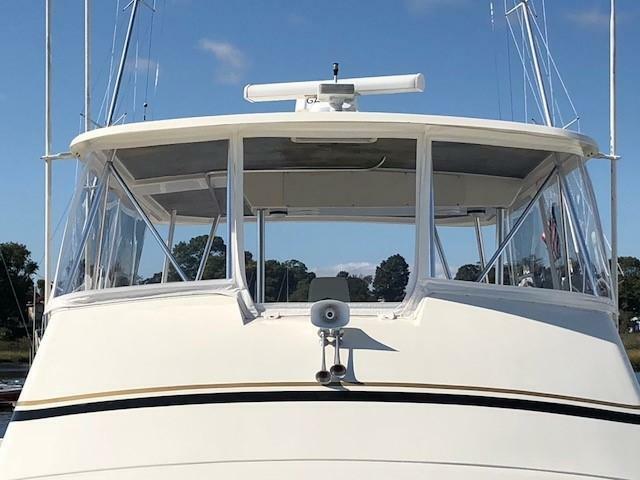 This boat is centrally listed by Hal Slater, CPYB.